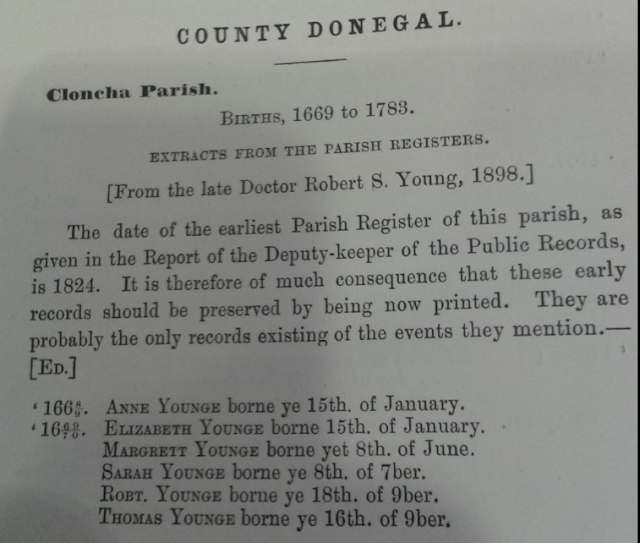 According to the PRO Ireland the date of the earliest Parish register for the parish of Cloncha in Donegal, as given in the Report of the Deputy-Keeper of the Public records is 1824. The following register(s) for Cloncha Church of Ireland were destroyed in the fire of 1922 namely baptisms 1825-1876, marriages 1823-1844 and burials 1829-1877. 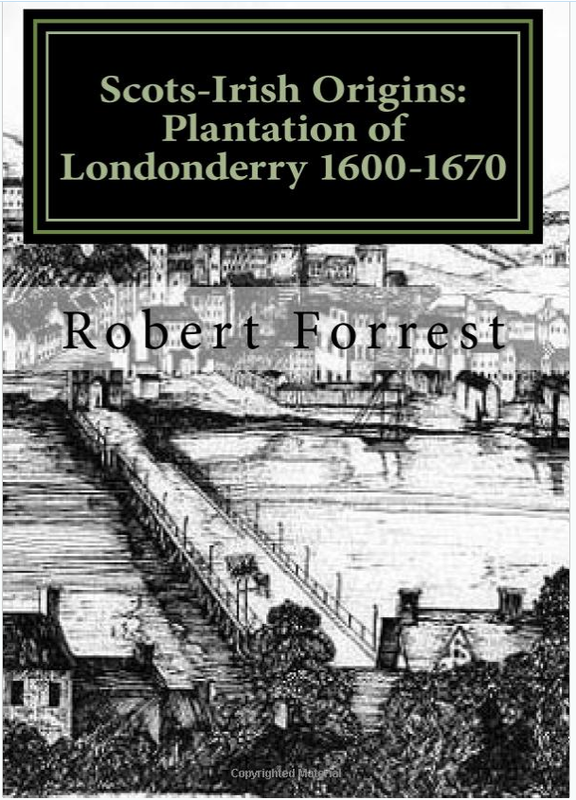 There was, however, an earlier register and transcripts were made of baptisms 1669-1783 by Dr Robert S Young that were published in Volume 5 of the Journal for the Association of the memorials of the Dead, Ireland (1903). The RCB and Church of Ireland registers - what has survived? The REPRESENTATIVE CHURCH BODY LIBRARY exists to provide a repository in which the archives and manuscripts of the Church of Ireland can be stored, arranged and made available to researchers in a systematic fashion. 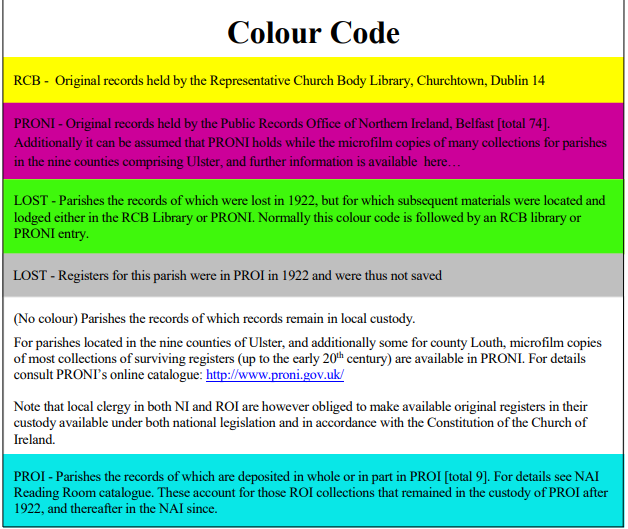 The RCB has produced a searchable PDF file containing information on the registers for every parish in Ireland including those destroyed in the fire in the PRO in 1922. The PDF file is a most useful tool in searching out the history of the registers for Church of Ireland parishes.